BMW of Bloomfield has made it easy to acquire all the quality auto products you need to complete repairs on your BMW X3 at home, simply use our secure online form to place an order today! Your request will be sent to our parts department in Bloomfield, New Jersey where it will be carefully reviewed and fulfilled in a timely manner. Our new and Pre-Owned BMW dealership looks forward to receiving Original Equipment Manufacturer items from all our Newark and Clifton, NJ neighbors, so don't hesitate to place a request now. We've made a number of parts specials available here on our website as well so that you can take advantage of all those that are relevant to your needs. 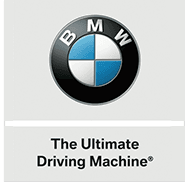 Feel free to contact our new and pre-owned BMW dealership if you're looking for some OEM guidance; our staff is familiar with the entire BMW lineup and the parts and accessories we carry and will happily assist you. Protect your sports car's high performance, warranty and resale value, only use genuine auto parts and accessories from our dealership in Bloomfield for all at-home maintenance and repairs, place an OEM BMW part order today!